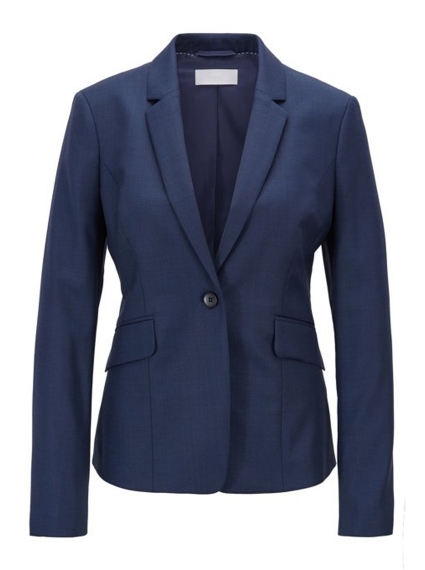 A flattering jacket by Hugo Boss, crafted in a straight fit with dynamic cutlines to enhance the feminine silhouette. Made in a wool blend with stretch and a subtle melange pattern, this trend-driven jacket is fully lined and features a one-button closure, flap pockets, and notch lapels. Create an effortless look by combining this business jacket with the matching Dagita Dress.